Starting out as the “Western Conservative Conference” in southern California, the later renamed “Freedom Leadership Conference” was originally organized and founded by a number of conservative coalition, defense, patriotic and moral-issues organizations and publications, both national and California based plus several companies which support them ( notably Human Events and The Washington Times National Weekly Edition, which we continue to recommend to readers). That original annual conference continued as the “Western Conservative Conference” for three years in southern California, with 35 conservative California state legislators serving as Honorary Conference Co-Chairmen and our first Honorary Conference Chairman who went on to become a U.S. Congressman (Tom McClintock, R-4th CD, CA). 30 nationally recognized conservative organizations and associated companies were the founding, primary sponsors, sponsors and co-sponsors of the original Conference in California. As of early 2016 there were over 60 past conference sponsors over the 17 years of the conference. While the conference has never shown a “profit,” most of the promotion and event expenses have always been borne by the conference Sponsors, rather than entirely by the admission charges to those attending. Those organizations – along with some individual donor-sponsors – which bear such promotion and organizing expenses, in return have been provided more time on the agenda for their selected speakers to discuss their issues as well as more influence over the conference agenda overall. The Western Conservative Conference name was changed to American Conservative Conference in the fourth and later years, and moved first to Miami, Florida, and then to a location near Camp David, Maryland where the 10th annual conference was held on Veterans Day, November 11, 2009. A number of the other co-sponsor organizations, continued the conference in southern California which they had helped begin, renaming it the Western Conservative Political Action Conference (Western CPAC), which was completely unrelated to this conference (but which we applaud for continuing the work we started years earlier – with many of the same, original co-sponsor organizations and individuals serving in stellar leadership roles both for the conference and the conservative cause). 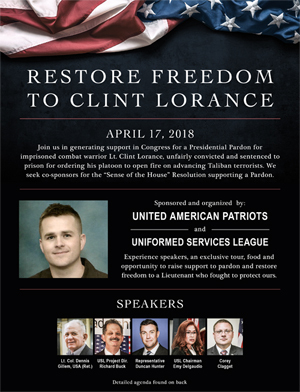 In recent years, the Freedom Leadership Conference has been hosted by one Primary Sponsor or Sponsor which focuses attention on the major issue of its choice and provides its choice of a speaker. At the December 5, 2012 Conference at Tysons Corner, VA, a new several times a year, shorter, weeknight format was initiated with a different sponsor organization for each of the more frequent, weeknight conferences to replace the larger, multi-organization-sponsored conference. A Primary Sponsor would have 40 minutes, a Sponsor organization is given 30 minutes of the conference agenda, and a Co-Sponsor (of which there must be more than one to pay the expenses of the conference) is given 10 minutes. For Primary Sponsors and Sponsors, the advance-prepared (and provided) keynote remarks on their issue must be no more than 14 minutes (see AGENDA elsewhere on this website) and which will be recorded and placed on the conference website and youtube (both text and video). In 2009 the idea was first announced of creating and adopting an overarching, unifying “Statement of Principles” for the conservative cause. The idea was not to exclude anyone but rather, to attempt to show what adherents of the three major “legs” of the conservative cause believe in. The only people we actually DO seek to exclude, are those who are the enemy (or haters of) one or more parts of our conservative coalition, all of whom are welcome to participate in this conference to share their views. Our Freedom Leadership Conference created and adopted a statement of beliefs which is NOT designed to “stand the test of the ages” like the Sharon Statement, still MOSTLY valid even after 50 years from when M. Stanton Evans first drafted it and it was adopted at Sharon, Connecticut. We aimed to tilt things in a different direction, in two significantly different ways: (1) focused a bit more on current events, it would need review and possible revision every year to keep it current, removing what may not be as relevant that year and including new agenda issues, and (2) it is more comprehensive and detailed, and (3) it contrasts US versus THEM – the beliefs of we conservatives shown in contrast or juxtaposition, to them- the liberals. We still yield to no one in our admiration for The Sharon Statement but these differences make the new THURMONT STATEMENT a handy addition – we believe – for those of us who are ecumenical, across the boards conservatives – in the national defense, economics and moral issues arenas. At the same time, for conservatives who are defense, economics or traditional conservatives ONLY, our THURMONT STATEMENT provides you the information you need to determine whether you would care to associate with us, if you are at least, in “general” agreement with our credo. For the most recent version of the statement of principles – THE THURMONT STATEMENT – first adopted in conference at the 9th annual Freedom Leadership Conference on November 11, 2009, and read for the first time by at that conference by the Statement’s co-author, writer and columnist Quin Hillyer, click HERE. We welcome comments and suggestions which will be reviewed and considered prior to each anniversary when it is subject to change and revision, write: Editor@ThurmontStatement.org. The serene Camp David area called Thurmont, Maryland was selected for the first “Freedom Leadership Conference” (originally the Western Conservative Conference of 1999, see above) because of the deliberative nature of the early proceedings. At the first such conference and after a reading of a newly drafted “Thurmont Statement” of Conservative Principles by one of the two principal co-authors it was unanimously adopted by those in attendance. The Camp David area – specifically the Cozy Inn – location was utilized for the annual Freedom Leadership Conference in 2008, 2009 and 2010. Presently the conference site since 2011 has shifted to Northern Virginia (see our front page posting for the most recent function or stay tuned for the next conference e-newsletter). Nearby Camp David has been the site of similar meetings by past U.S. Presidents with national and international leaders. The Cozy Inn (since our departure, sadly, closed down) has seen many of the entourages of these leaders ensconced during those deliberations. From 2008 through 2010 this Conference has been scheduled for Veterans Day, November 11, with presentations followed by discussion. We have requested that speakers provide a “paper” (prepared remarks provided to us in advance) that we can place on this website, and several have done so (see speakers section of this website for full text of several such presentations). Since the new monthly series began in late 2012 we have usually been able to place both a video and the full text (written) of the keynote speaker’s remarks at each Conference on the website. In the past, the presentations on issues of interest to conservative activists and donors, have been between 10 minutes for panelists and up to 20 minutes for the featured, keynote speaker. There has been several dozen sponsor organizations at a three days long conference providing many dozens of speakers (as many as 40 at one such conference). The speaker and sponsor format has now changed to allow for either one Primary Sponsor or Sponsor presentation (20 minutes) or two Co-Sponsor speaker presentations of 10 minutes each, plus additional informal remarks at the dinner preceding the conference. The youtube video format allows for a time limit of 14 minutes for the Sponsor organization’s speaker. While keynote speakers are invited to continue their presentation with additional informal or extemporaneous remarks or a question and answer period for an extra 6 minutes to make a total of 20 minutes per monthly conference, it is the first 14 minutes (or less) which will each month be placed on the Conference website and on youtube plus the text of the advance-prepared speech will be on the conference website. Past annual conferences, have seen participants tour the historic grounds of the Cozy Inn & Conference Center including the Camp David Museum on the premises. The museum, now closed with the Cozy Inn, included many presidential artifacts, photos and other memorabilia. Moving to the Marriott Courtyard, Tysons Corner in Northern Virginia and a new format on December 5, 2012, the 13th annual Freedom Leadership Conference was also the first of a new monthly series. The conference starting in 2012 has met from 3 to 6 times per year either at Tysons Corner, VA or at Fairfax, VA and has expanded from the original “invitation only” event to include first time Provisional (temporary or Candidate) associate Members, and previously approved Associate Members (conference attendees). (see “To Attend” section of this website). Conservative-cause organizations are invited to be a Co-Sponsor ($250 for 10 minutes), Sponsor ($500 for 20 minutes) or Primary Sponsor ($1,000 for 40 minutes) for one conference each year in order to present the issue and speaker of their choice at each weeknight conference, plus a dinner in honor of the keynote speaker as the guest of the Conference Board of Directors with additional, informal remarks. We encourage our sponsors to think of this as YOUR conference. That means you should take credit for this conference and your speaker on your website, in news releases or newsletters, and in bulletins or even fund appeals to your own supporters because you are showcasing your issue. We also encourage you to invite our members, donors or friends to attend your conference. Look elsewhere on this website for information on how to make application for Provisional Membership to participate in the conference several times each year, or to sponsor the conference, or to have a free subscription entered for you to stay informed of conference activities. Or write to RSVP@FreedomLeadershipConference.org (for Associate Member or Subscriber we must have your zip code, full name and email address). We appreciate your sharing the link of this website with friends: http://FreedomLeadershipConference.org.